Psychology at Spudology, Friday, Aug. 18, 2017. Kevin and Marcus Myles lounged in front of their television six years ago, pondering an uncertain future during the 2011 NBA Finals. As Arlington, Texas, residents, the Dallas Mavericks championship series with the Miami Heat piqued their interest, but they had bigger things on the horizon: brainstorming ideas for a potential food venture pitched by their father, William. In the time it took from tipoff to the final horn  about 2 1/2 hours  the Myles brothers discovered a concept, a theme and menu item names for a potato bar called Spudology. We were kind of flipping through my laptop, and we went word for word, name for name, and boom, said Marcus, referring to his course list from college that featured the likes of physics, chemistry, ecology, biology and psychology. 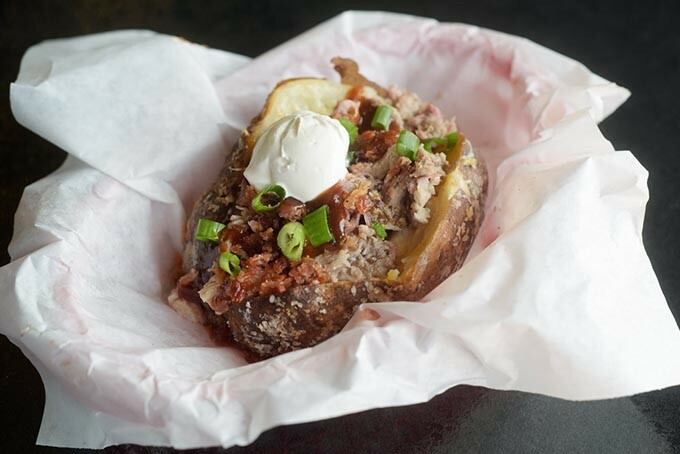 More than four years later, the Myles brothers, with financial backing from their father, debuted Spudology in Oklahoma City, using jumbo potatoes from Idaho as a canvas for toppings like smoked sausage (Physics), turkey (Chem 1), ham (Chem 2) and even a pizza-themed spud (Earth Science). Located in a strip mall next to 10GYM at 6241 Northwest Expressway, the small shop that serves up 13 different loaded baked potatoes could have easily operated as a gym, a childrens maze or a flavored popcorn stand. Those were some of the pitches generated by Marcus, a workout enthusiast who majored in physical therapy before switching to business, and Kevin, a mechanical engineer, when they were in search of an investment opportunity. William, a commercial developer, first came across the potato bar concept years ago in New Orleans. 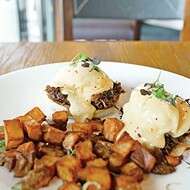 The family voted on potatoes and went to work, spending 18 months renovating the space prior to a January 2015 opening. We put the sheetrock up, we did the floors  everything we could do, minus the electric and plumbing, we pretty much did it, Marcus said. Kevin used his construction background to focus on the design, erecting a mock periodic table in the front window with elements like Lu for Love and F for family and more food-appropriate lingo like B for butter and Sp for sweet potato. Marcus, still involved in fitness at the time, used the gym patrons as guinea pigs to demo the potatoes. 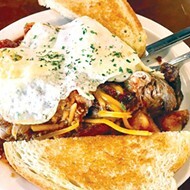 Inside, a large menu on the wall serves as the syllabus, referencing the objectives and core curriculum that pay homage to the Myles favorite classes with potato recipes like Physical Science for the base potato topped with bacon, sour cream and chives and Psychology for pulled pork. The terminology made sense to Kevin and Marcus, but not to William. The man who helped spark the idea for Spudology doubles as the sauce-maker and quasi pitmaster. When he talked to Oklahoma Gazette, William sported a white dress shirt and black slacks while welcoming customers and instructing them on their menu choices. But most days, William is out of the public eye. Starting as early as 6:30 a.m., the Memphis native handles food prep and catering orders and is gone by 11 a.m., turning the keys over to his sons. William moved his family to Oklahoma City in 1992, bringing the culture of Memphis barbecue with him. He barbecued for friends as a hobby and produced his mothers version of a sweet and tangy sauce, although he never seriously considered it as a means to make money. 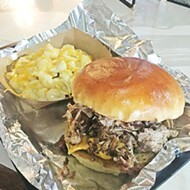 I believe theres no question if someone tries our barbecue, theyll never try those other peoples barbecue again, William said of his competition. Marcus and Kevin requested to use the sauce, later named 37 Sauce for the year their grandmother was born, on potatoes, but it came with resistance out of sheer secrecy. Finally, William obliged. To this day, we still dont make it inside. If we do, nobody else is here. Hell make it at home and bring it up or make the workers leave and hell do it, Marcus said. Spudology spent the first year of operation working out the kinks, like how to cook potatoes in increments so they were fresh for the lunch and dinner rush. The sauce was a hit. However, the barbecue took a year to find its way to the menu. Prior to the expansion, the Physics spud featuring smoked sausage from Robertsons Hams, an Oklahoma staple since the 1940s, was a top seller. Now, William prepares brisket, ribs and pulled pork several times a week, including each Sunday after church, using a friends smoker. He incorporates the same 37 Sauce to marinate chicken and pork tenderloin, too. Bottling the sauce is on the list of future plans, as is adding franchises around the metro area, specifically in Moore, during the next five years. 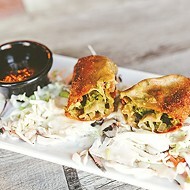 Spudology plans to take an even deeper dive into barbecue with the recent addition of brisket or rib tip dinners. Print headline: Smart spuds, Spudology goes back to school with a potato bar concept.